Kickin & Screamin: I WANNA BE A HOBO! So this evening I saw a movie that I absolutely loved. Well I guess it was more of a documentary, either way it was quite cool. 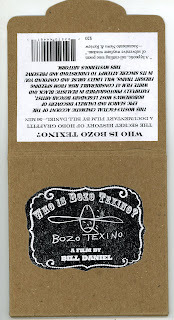 The title of it is "Who is Bozo Texino?" 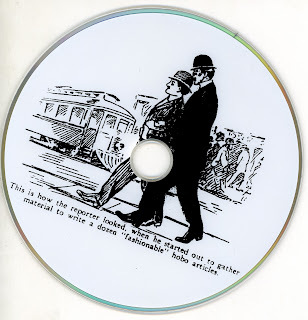 and it is a fascinating look at hobo train art. Hobo train art is a form of graffiti that has a very different look to it. The film explains how these people develop a moniker that they can draw out in less than 30 seconds so as not to get caught. They tag box cars with these monikers while riding around the U.S. and mostly use grease stick or chalk. 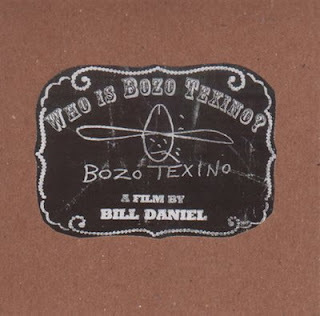 This DVD is put out by hobo film maker Bill Daniels and the production is small scale due to the special interest quality of the subject. The packaging is what first attracted me to it. Even though it had a very hand made feel it fit with the concept of the film and was successful at alluding to the content.